The following are the members of the A Progressive Christian Voice (Australia) Committee. 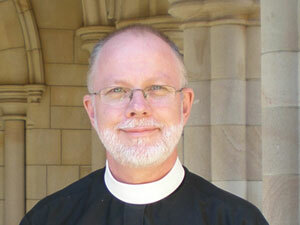 Peter Catt is Dean of St John’s Anglican Cathedral, Brisbane. From 1997 to 2007 Peter was the Dean of Grafton. He helped establish and run the International Philosophy, Science and Theology Festival, which was held at Christ Church Cathedral, Grafton. He holds a PhD in evolutionary microbiology from the University of NSW and a BD from the Melbourne College of Divinity. His interests include Christian Formation, liturgical innovation, the interaction between science and religion, and Narrative Theology . 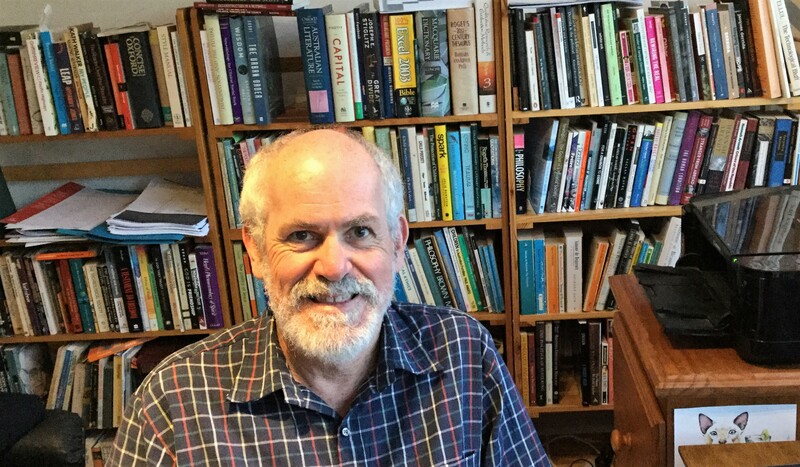 He is a member of a number of environmental and Human Rights organisations and has serves on Anglican Social Justice Committees at both Diocesan and National level. He is the current chair of The Australian Churches Refugee Taskforce. Tiffany Sparks is the Priest in Charge of St. Paul’s Anglican Church Ashgrove in Brisbane where she has served since 2012. Some of the most influential conversations of her young life were theological and philosophical in nature, encouraging her to reflect and continue to reflect deeply on what being a Christian means and what that tells us about how to serve each other with love, respect and dignity. Tiffany has always been fascinated in how we develop as a culture, developing cultural norms and community narratives. Tiffany holds degrees in Social Sciences and Theology with honours in Pauline Literature. Tiffany went on to be ordained in 2010 after working as a seasonal tutor for ACU in the department of theology during her honours year and working for Griffith University as Chaplain. Previously Tiffany was been involved in creating young mothers groups in Western Queensland, refugee and homelessness advocacy. After having her child at a young age, Tiffany is particularly concerned with people on the margins, who feel excluded from God and Church and seeks to make the Church more accessible to everyone. Tiffany is also interested in exploring the online space with campaigns like repent4lent.org, where people are encouraged to reflect on current society and in 2014 St. Paul’s became the first mainstream Church to accept Bitcoin (crypto currencies). Tiffany is married to Grant Sparks and has a blended family of 6 children. Rev. Susan Pickering is a minister in the Uniting Church in Australia, currently serving on supply at the Balmain UC, Sydney. Prior to ordination Susan has spent time working in the areas of Domestic Violence, Mental Health and Disability for both NGO and government. She has spent some time working with Church of South India in Chennai and was a group leader of a UCA tour on two occasions. Susan is currently a member of the Sydney Presbytery Standing Committee and Uniting Justice reference committee. She is committed to issues of social justice both locally and globally, working towards the gospel imperatives of justice, inclusion, care and compassion for both people, particularly the vulnerable, and planet. 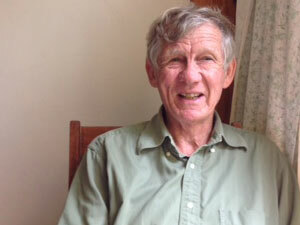 In the 1980s and 90s Len was active in the environment movement and retains a strong interest. He is a keen bird watcher and bush walker. Len has written several theological articles and one book. His interest is mainly in the practical implications of theology. Many different theologians have had an influence on Len. Most recently he has been exploring the practical implications of Jack Caputo’s work on Derrida. Len is a member of the South Woden Uniting Church in Canberra. Ray Barraclough grew up on a farm near Clermont in central Queensland. He majored in history at the University of Queensland before working as a high school teacher for three years at Childers. He then went on to study at Moore Theological College in Sydney. On completing his studies there, he enrolled at Macquarie University to research his doctoral thesis. In his doctorate he explored a range of political ideas that are to be found amongst the New Testament writers. Ray was ordained as an Anglican priest in Brisbane diocese in 1975. In that diocese Ray has served as a parish priest, university chaplain and theological lecturer. Ray served his curacy at St James’ Anglican Church in Toowoomba. He then became Rector of St John’s Church, Upper Mount Gravatt. From 1979 to 1988 he was the Anglican Chaplain to the University of Queensland. During the late 1970s and 1980s Ray was involved with Concerned Christians that was an ecumenical coalition of Christians in south-east Queensland who were concerned about the erosion of civic rights and wider political malpractice that were a feature of Queensland’s political landscape during those years. From 1989 to 1993 Ray and his wife, Dorothy, served at St George’s College, Jerusalem, where Ray was senior lecturer. Subsequent to his return, he was the founding President of Friends of Sabeel Australia Inc [FOSAI]. FOSAI seeks to give support to the vision and activity of Palestinian Christians, and especially to the Sabeel Ecumenical Liberation Theology Center in Jerusalem. On returning to Australia, Ray took up an appointment as lecturer in New Testament at St Francis’ Anglican Theological College in Brisbane. Concurrent with that position he was also a member of the ecumenical lecturing team drawn from Brisbane’s Anglican, Catholic and Uniting Church seminaries. While now living in retirement, Ray has been intimately involved in the establishment and lobbying activities of A Progressive Christian Voice (Australia) Inc.